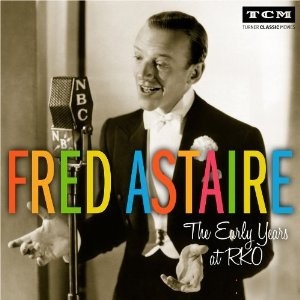 If all you know of Fred Astaire is his movie dancing, the new two-CD set “Fred Astaire: The Early Years at RKO” (Turner Classic Music/Sony Masterworks) will be a revelation. 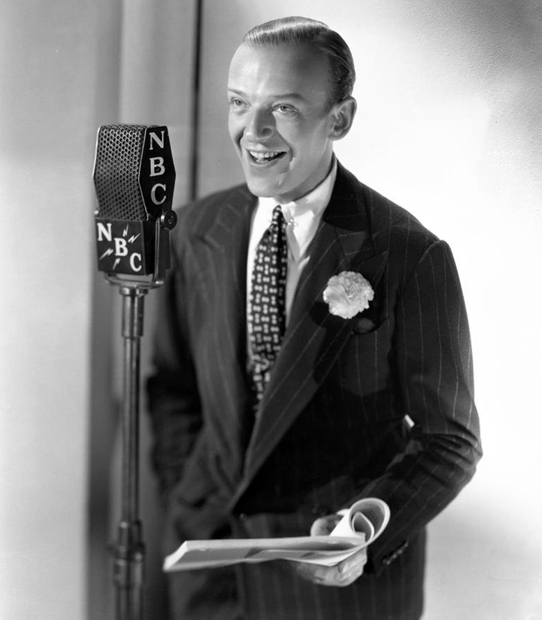 With the possible exception of Bing Crosby, Astaire introduced more good songs — first on the Broadway stage, then in his movie musicals — than probably any other singer in the first half of the 20th century. RKO was where he first teamed with Ginger Rogers to define dance musicals on the screen. Though he generally phrased on the beat, Astaire could make the studio orchestras—rooted in light classical instrumentation and arrangements—swing. Given a little syncopation, like on “Bojangles of Harlem,” Astaire was off to the races. Whomever oversaw these recordings wisely allowed a number of tap dance breaks and solos. With no audible drums on the bright “No Strings,” his taps supply the percussion throughout. Astaire was an American sphinx: a self-made construction who never showed his closest-held cards to the public. He was a Nebraskan vaudeville hoofer who wasn’t particularly handsome. 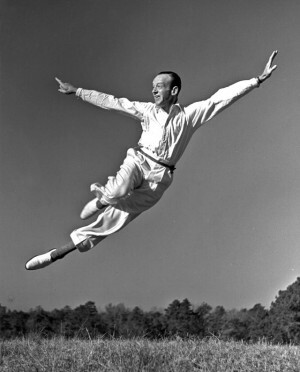 But Astaire willed himself into a kind of American royalty by virtue of his style, casual elegance and flawless dancing. He wore the smart clothes of Anderson & Sheppard, the sterling Savile Row haberdashery, yet gave the impression that he’d help a stranger change his tire. 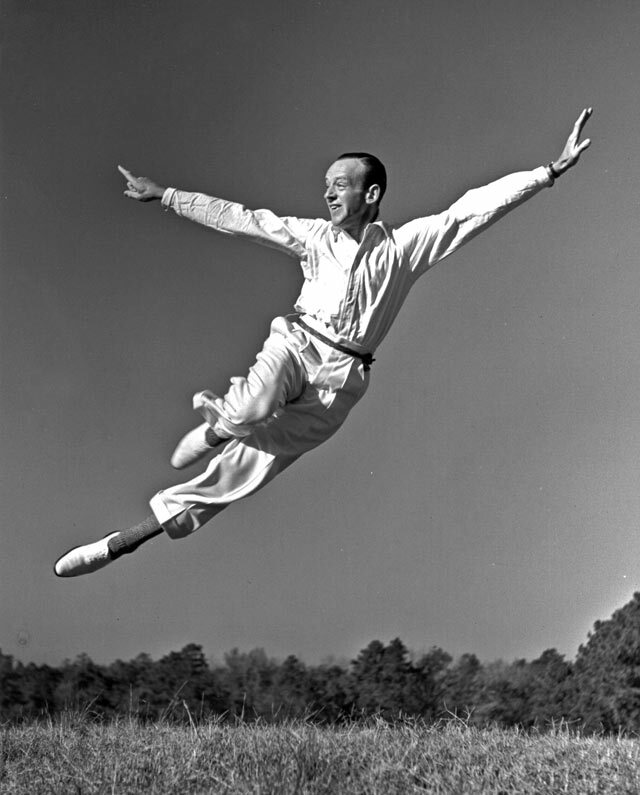 Whether Astaire swept ballroom floors with leading ladies, furiously rhythm tapped, or danced in any number of imaginative settings, he made it all look so easy. Though he trained like an Olympic athlete, he put as much effort into hiding his preparation as he did the dancing. That’s key to understanding Astaire the singer. He never sounds forced or strained and for all of the polish, his cultivated mastery is informal. Astaire may have worn top hat and tails, but his aura of “regular guy” came through. You can hear that whenever he sang. Astaire never thought of himself as a vocal stylist. Indeed, as Michael Feinstein’s informed liner notes point out, he hated the sound of his own voice. But that work ethic and steadfast devotion to craft meant that he put all of his effort into the song itself. A strain of singers, from Jolson to Garland to Presley to Streisand to Bublé (God help us), has used songs to enlarge their own personae; Astaire almost disappeared into the songs. The RKO numbers represent some of the best of the Great American Songbook: from musicals written by Cole Porter (“The Gay Divorcee”), Vincent Youmans (“Flying Down to Rio”), Irving Berlin (“Top Hat,” “Follow The Fleet” and “Carefree”), Jerome Kern (“Swing Time”), and George and Ira Gershwin (“Shall We Dance” and “A Damsel in Distress”), and encompassing 1932 to 1938. Many of the songs are rhythm tunes and it’s a joy to hear how music and dance were so inextricably wed in Astaire. “Night and Day,” “Cheek to Cheek,” “Let’s Face the Music and Dance,” “The Way You Look Tonight,” “A Fine Romance,” “They All Laughed,” “Let’s Call The Whole Thing Off,” “They Can’t Take That Away From Me,” Things Are Looking Up,” “A Foggy Day,” “Nice Work If You Can Get It,” and “Change Partners” have all outlived their era. In Fred’s hands, tunes like “I Used to Be Colorblind” positively glided like, well, Astaire and Rogers. That’s a tough standard for anyone to top. Wow! What a wonderful, high-calorie comment! Thanks, Larry. Kirk Silsbee nails this for all time! Not only did Mr. Astaire sing and dance on stage, in films and on TV, he transcends the description of “performance.” He dances and sings TO the music, WITH the music and BECOMES the music. The new double-CD set release from Turner Classic Music/Sony Music Works is a treasure trove. And with liner notes by Michael Feinstein it is a must have for anyone interested at all in American Popular Music. With tastes of Cole Porter, a slice or two of Vincent Youmans, healthy bites of Berlin and Kern and gulps of George and Ira Gershwin, it is a Wedding Cake of historic proportions. Astaire is not only the icing on the cake, he is the recipe and pastry chef for a gourmet musical meal.